Or maybe, even worse, an emotional bomb has gone off in your relationship—something you NEVER expected your partner would do. You are lost and you can’t find your way back from the betrayal and hurt. A part of you wants to stay and make it work, but you just don’t know how. Everything you’ve tried doesn’t work. You don’t know how it got this way. You would fix it if you could. You are not alone. So many couples experience hurt, disconnection and feeling unloved in their relationship. It is a sign of love and care to seek professional help to get your relationship back. Your relationship is precious. That is why it deserves the best. Emotionally Focused Therapy (EFT) is the treatment that works. Years of research shows that EFT helps couples improve their relationship, resolve conflicts, repair trust, and feel safe, loved and connected. Using EFT, we can help you get to the heart of the matter. We will help you stop the negative and stuck patterns in your relationship, transforming it into a relationship of love, trust, connection and understanding. Research shows that EFT works, and that its results last. To learn more about how and why EFT works, see What is EFT. 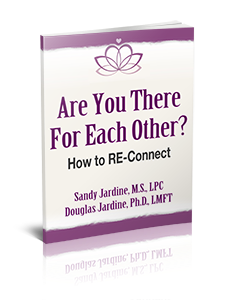 We will help you identify the raw spots and triggers that get the two of you so upset and disconnected. Our goal is to help you change the difficult and intense patterns that result in both of you feeling angry, hurt, disrespected and misunderstood. We will create a safe place for you to speak to each other from the heart and to share your deep emotions. We will help you transform blaming, criticism, nagging and withdrawal into tenderness, care, comfort, intimacy and love. You can feel seen, heard, respected and loved again. In addition to highly effective treatment, you deserve experienced, well-trained therapists who specialize in couples therapy. For over two decades, we’ve devoted ourselves to helping couples repair their relationships. We know it is possible for you to feel safer, more connected and loved. In addition, we are a couple that has been together over 25 years, and we use these methods in our own relationship. Like you, we’ve weathered difficult times, and we feel that our personal and professional experiences make us unique in helping couples repair and transform their relationships. Most couples will choose to work with one of us. Some couples (even though it is more expensive), may want the benefit of working with us as a team. 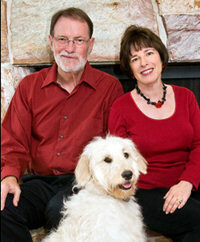 To learn more about us see Meet Sandy, Meet Douglas. Over and over, couples we work with tell us they feel like we “get them.” That they feel we are really present as they do the difficult work of relationship repair. Our clients consistently say we are skilled at going beneath the content to the heart of the matter. We help them resolve and heal their issues so they can build a relationship of trust and love. We are worried about the cost. It is true, counseling is expensive. But it is worth the investment to see if your relationship, your dream of being together, can work. Before you make any decision about whether to stay or go, it is wise to give counseling a wholehearted try, to see if you can build a secure and loving relationship again. While we don’t participate in in-network insurance plans, many companies will allow out-of-network reimbursement for couples counseling. We can talk about this during our initial phone call. We really need couples counseling, but I don’t know that I can get my partner to come. You will get the greatest benefit if both of you are present. Our suggestion is to ask, not demand, that your partner join you. Letting them know you are hurting and want to make the relationship better often works. Also, ask them to join you for one or two sessions to see how they feel. Often people are afraid they will be ganged up on, judged, criticized or shamed in counseling. That is not the way our counseling works. Once your partner can experience the process, and see it is non-judgmental and non-threatening, he or she will most likely find that counseling is a helpful, healing experience. If your partner still refuses, we invite you to come on your own. Individual counseling can help you approach your partner in a different way and create a safer relationship. This might increase your partner’s willingness to give couples counseling a try. I’m unsure about counseling. It seems a little scary to open up and share the intimate details of my life and relationship. This concern is normal. It is a little scary to open up to someone you don’t know. It is our job to help you feel safe and supported. By having a trusted counselor, it is possible to gradually take those emotional risks that will allow each of you to be more connected again. We’ve been to counseling before but it didn’t work. Why will this time be different? The fit between each of you and the therapist. The therapist’s skill, experience and training. The approach or model that is used. We use a scientifically validated approach that has decades of research to support its effectiveness. You and your partner’s willingness to engage in the work to repair and transform your relationship. Do you only work with married or committed couples? Couples who have decided on divorce but want help with uncoupling and to make the transition as painless as possible for themselves and their family. People who are tired of repeating the same negative relationship patterns over and over, who want a healthier, more satisfying future relationship. Still not sure? Review these 7 Signs of a Relationship in Trouble. We would like to help you heal your relationship. Call us today at 480-990-9128 (Sandy) or 602-538-9094 (Douglas). We will answer your questions, provide a brief, free, phone consultation and set up an appointment.